Andrew Adam, age 81 of Milford, passed away on April 20, 2019. Born in Bridgeport on January 18, 1938, son of the late Aristidi Adam and Doxia Spau Adam, Mr. Adam was a Milford Town resident for most of his life. He was a graduate of Bassick High School "Class of 1955", Andrew served in the US Army National Guard and later graduated from the University of Bridgeport. He went on to work for Bunker Ramo Co., the Department of Defense and later for the Kennedy Center from which he retired. Andy enjoyed the outdoors, especially golfing and hiking, he liked travel and had done several African safaris, he was an avid UConn Huskies fan and had been to many of their games, Andy was a kind man with a warm smile, he was devoted to St. Dimitrie Orthodox Church and could be seen there on most Sundays, he previously served as Treasurer of the church. Most of all he loved the times that he spent with his family. Survivors include his sons Andrew Paul Adam and his husband Andres Vilchez of West Haven, Michael Adam and his wife Christine Young of Easton and his daughter, Laurie Adam and her husband John Boudreau of Cheshire as well as several nieces and nephews. He also leaves behind his grandchildren Kyle, Jacob, Doxia and Isolde. He will be fondly remembered by his companion, Rita Singer. He was predeceased by his sisters Stella Muzea and Jennie Gayda and his brother Thomas Adam. Funeral services will be held on Monday, April 29, 2019 at 11:00 a.m. directly at St. Dimitrie Orthodox Church, 504 Sport Hill Rd., Easton with burial to follow in Lakeview Cemetery, Bridgeport with Full Military Honors. Calling hours will be on Monday morning at St. Dimitrie from 10:00 a.m.until the time of the service. The funeral for Donna Petro Peters will be Tuesday, April 30th at 11:00 AM at St. Dimitrie. We now list the sponsors of Coffee Hour and Holy Bread on our Monthly Calendar. Click the here or go to Calendar of Events tab on the top of the page. Coffee Hour information will be listed in green and Holy Bread in orange. Multiple people can donate Holy Bread each week - but please contact the church office if you have questions about sponsoring a coffee hour. Are you looking for meatless and dairy-free meal suggestions during Lent? Our Sunday School teacher, and vegan chef extraordinaire, Linda Soper-Kolton offers her recipe blog to our community. All her recipes are meat- and dairy-free. You can even search for recipies by meal or specific ingredient. 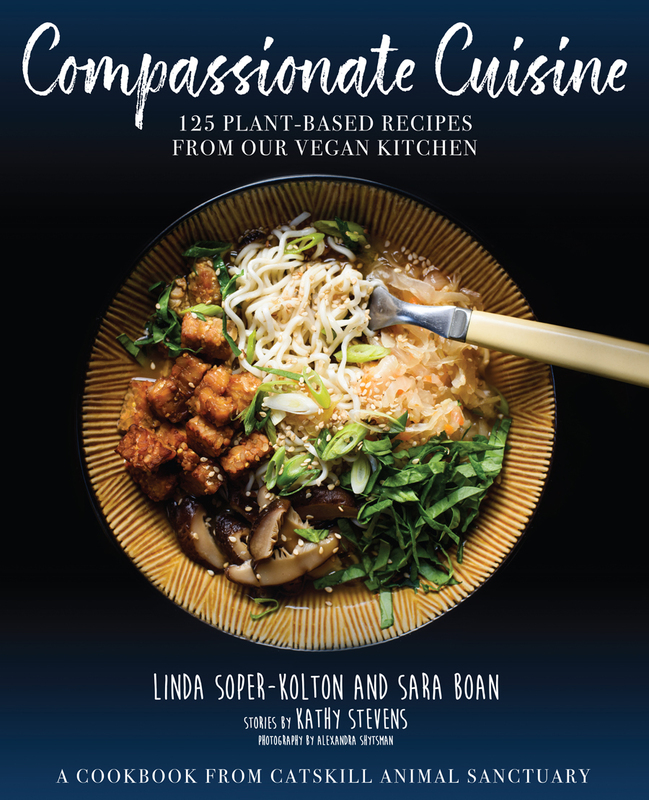 She also has written a new vegan cookbook for the Catskill Sanctuary called "Compassionate Cuisine: The Cookbook" . To know and experience the love of GOD –Father, Son and Holy Spirit; to worship Him in spirit and in truth as taught by the Lord through His Apostles; and to welcome and encourage others to know and love Him! 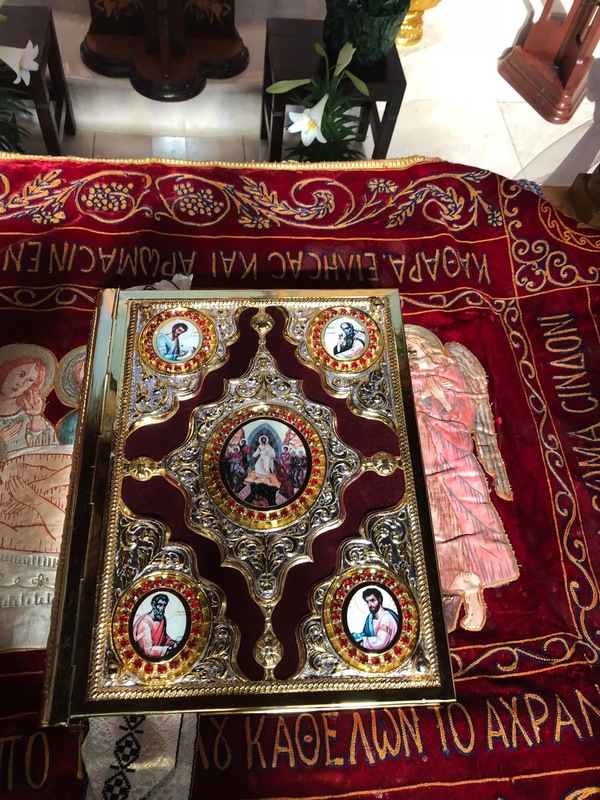 Thank you for visiting the website of St. Dimitrie Romanian Orthodox Church in Easton, Connecticut. This site provides a glimpse into our parish, our Faith and our community. We hope these announcements, updates, photographs and history will be interesting and enjoyable. Our family invites you to come participate in the life of our parish and worship with us. Services: Our doors and arms are open to you and we pray you find a home with us. 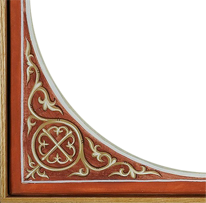 During the summer, Sunday Matins begins at 9:15am and Liturgy at 10:00am. * Do you have an unused refrigerator? Did you recently purchase a new fridge and have an old one taking up space? If so - we have a family who is in need. Please see Fr. George or Psa Marian for more information. If you've been to St. Dimitrie, you've enjoyed the delicious food that comes out of our very own kitchen. From pitas to stuffed cabbage, nut rolls to sweet bread, it doesn't happen by magic! The making of our homemade food requires many hands, a multitude of ingredients, and lots of shopping--and it happens all year round. Next time you're shopping, please consider buying something from our "wish list". If something is on sale, buy more than one! If everyone brings in something occasionally, it lightens the load in more ways than you can imagine! And as you've heard, many hands make light work. We could use your help, especially in the weeks and days leading up to our festivals and when we host events in the hall. Please check the website for our kitchen calendar to see what's happening when. Even an hour or two is a tremendous help and no experience is required! If you'd like to help before or after coffee hour, extra hands are always appreciated. Prayers of gratitude flowed on Sunday, September 17 as we surprised Fr George and Psa Marian with a coffee hour on the fourteenth anniversary of his Ordination to the Priesthood. Parish Council president Bob Nicola commented that "we wouldn't be here if it wasn't for Fr George and we wouldn't be the community we are if he wasn't here to lead us." After a chorus of " God Grant You Many Years, " Ladies President Betsy Cipu presented Psa Marian with a bouquet of flowers. Fr. George reminded us "it takes a village and we have to remember to love each other, love the Lord and love this community." "The people present are the main support of this parish and don't ever give that up. Bring your children, grandchildren and godchildren. Let this parish countinue when we are gone from here and our decendants take over for us." La Multi Ani and Good Health to Fr George and Psa Marian from a grateful parish. Did you know you can make donations, be a festival sponsor or pay your dues by credit card? St. Dimitrie in the CT Post! St. Dimitrie 's new icons are in the Pulse Section of Saturday's (8/31/13) CT Post! 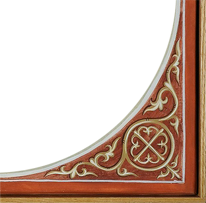 See the article "Creative Gifts, Spirituality Shine in Icon Painter's Art"